Have you seen the infomercials for the product WEN by Chaz Dean? WEN is a cleansing conditioner that takes the place of both your shampoo and conditioner. This product is different than shampoo. It doesn't lather up like traditional shampoos. 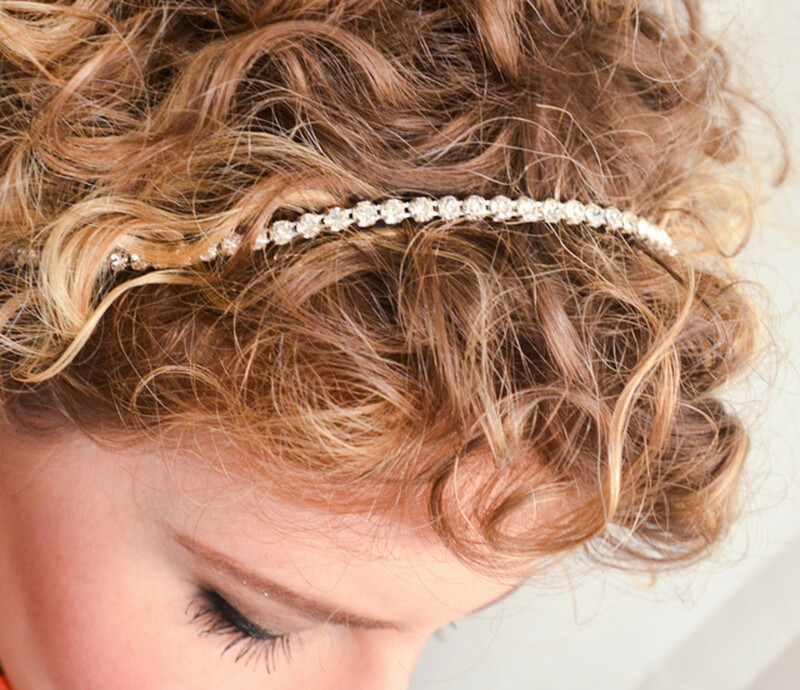 Hair One is a more affordable alternative to WEN. Both of these products are sulfate free, which means there are no harsh detergents that strip hair of its moisture and color. It adds shine and strengthens your hair. It cleanses and conditions the hair at the same time. It can be used as a leave in conditioner as well. This type of product is thereby, eliminating the need for several different products. The directions are pretty much based on the length of your hair. 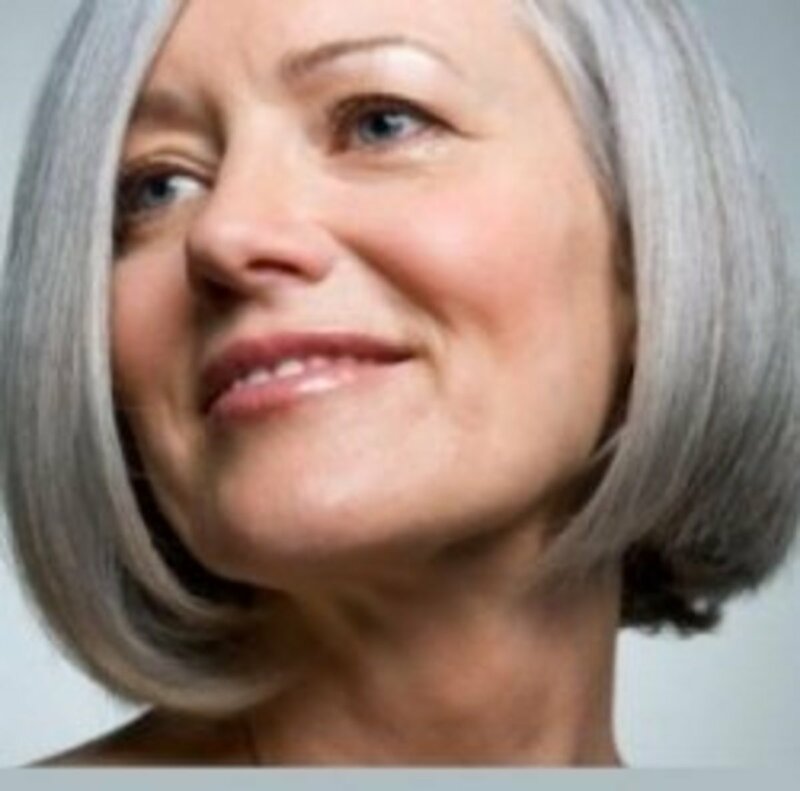 You are to use a certain amount of pumps for the different areas of your head, such as the sides of your hair, the nape of your neck, or the top of your scalp. Then take a wide-toothed comb and comb the conditioner through to the ends of your hair, leaving it set on your hair while you continue your shower. When you are done, rinse the conditioner and apply one pump as a leave in conditioner. I have had the opportunity to try both and will let you know my opinions on each below. WEN comes in several different conditioners. There is Sweet Almond Mint which is a universal conditioner for all hair types. Cucumber aloe is also universal, but especially good for oily scalps and dry hair. Fig, which is my personal favorite, is targeted for wavy to curly and coarse hair. 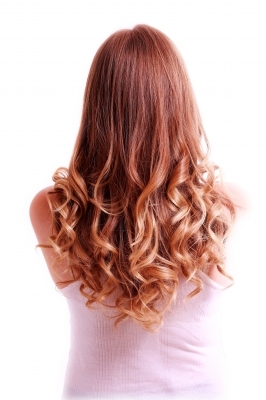 It's fantastic for dry, chemically damaged, color treated, and heat damaged hair. It provides so much moisture that my hair feels soft and silky. Tea Tree is especially good for medium to coarse hair with dry, flaky, scalp issues. For all you moms with children in school, I use this on my girls' hair because I read somewhere on the net that tea tree oil was a preventative measure for lice. Every time I hear of an outbreak of head lice, I make sure to have some handy. Lavender is great for moisturizing and adding volume to hair. Another conditioner by WEN is the Pomegranate. This is one I have not tried, but it supposed to be fabulous for adding moisture without weighing the hair down or stripping it of natural oils. If you have tried the Pomegranate I would love to hear your thoughts below. Wen has come out with a new summer fragrance, Mango Coconut. I haven't tried this one either, but have heard it smells fantastic. The fall pumpkin ginger scent smells wonderful but doesn't condition my hair as well as fig. Along with the different conditioners to choose from, there are different sizes as well. A 16 oz. bottle of WEN sells for about $28. The 32 oz. can be found for $44. That is quite a bit for one product, but this definitely does work. If you watch QVC, you can periodically catch specials for the 1 gallon size of your favorite WEN Conditioner. Chaz Dean has introduced the new WEN KIDS conditioner on QVC. The conditioners are geared towards kids favorite scents. These scents include apple, strawberry, banana and watermelon. I know that my daughter already likes WEN products, but with these appealing scents she is going to drive me crazy for WEN products. Well, for almost every pricey product on the market, there is someone who tries to come up with a cheaper alternative. Hair One seems to be the comparison product for WEN. I actually heard about this while I was at a QVC Beauty Bash. Women were talking about how much they love WEN but couldn't always afford it. 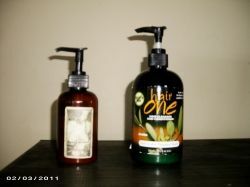 Hair One is the same concept, a cleansing conditioner with no sulfates or harsh detergents. It gently cleanses the hair and is used the same way WEN is used. Hair One comes in a Tea Trea formula for dry scalps. It also comes in Olive Oil for dry, damaged hair. Cucumber is for normal hair, and Jojoba is especially formulated for color treated hair. A 12 oz. bottle sells for $10.50 to $12. This is significantly cheaper than WEN. 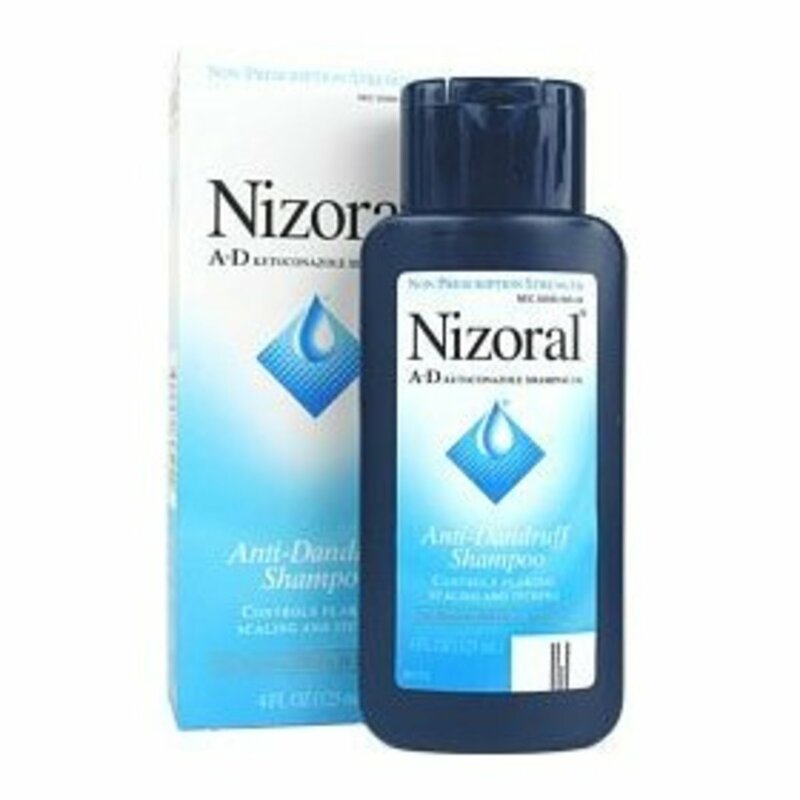 I tried this product and found it to be comparative to WEN in terms of conditioning my hair. You may also check your local beauty supply stores to see if they carry Hair One. Every 2-3 weeks, my hair starts to feel weighed down and heavy from the conditioning. I wash my hair with regular shampoo and condition with WEN or Hair One afterwards. Then I continue only using the cleansing conditioners until I notice the need for shampoo again. L'Oréal has new products such as sulfate free shampoo and conditioner, as well as, a cleansing conditioner similar to WEN. I tried both and wasn't too impressed. How bout you? Tell me what you have tried and your opinion. 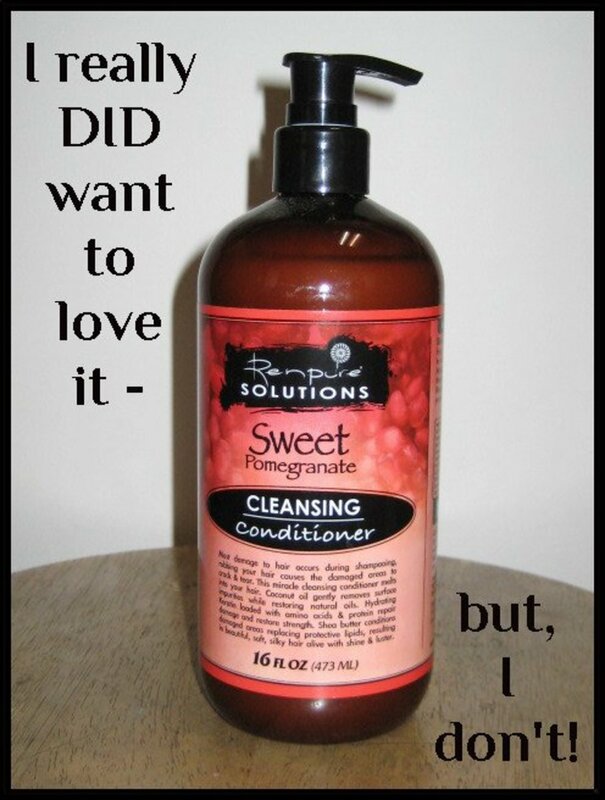 What's your favorite cleansing conditioner? Reader Feedback - I would love to hear your opinions. 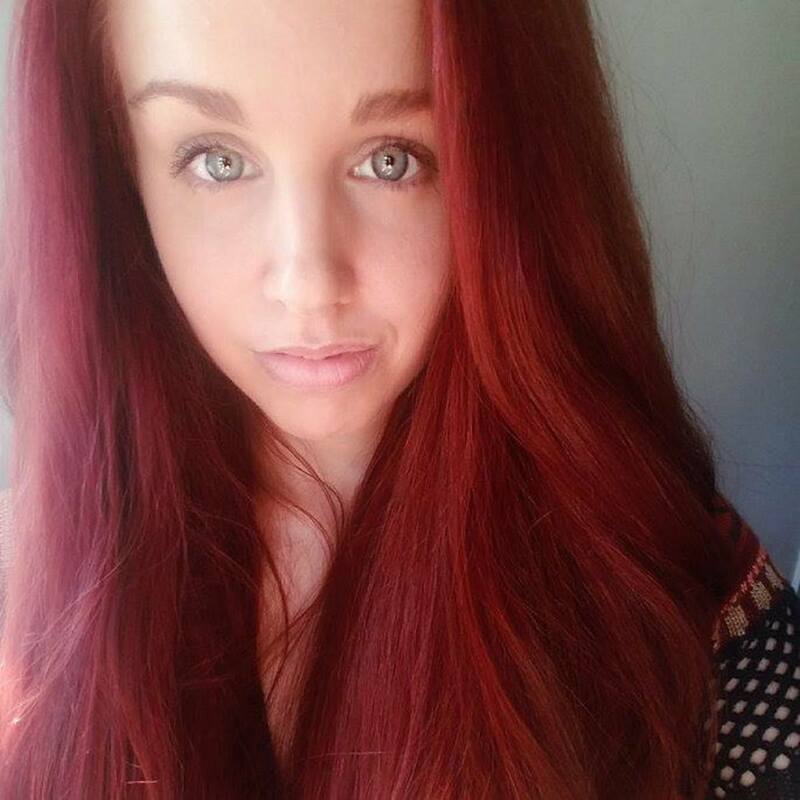 @galyeans1269: I washed my hair with regular shampoo, usually Pantene, every 2 weeks. @anonymous: How often dI'd you use the clarifying shampoo, and which brand did you use?? I'll have to try to let you know. thanks for the lens. I get my hair highlighted touch up every 6 weeks and hair was getting really dry due to age and highlighting. Started using Wen 2 years ago . Hair stylist was very optimistic ,always saying something about Wen. My last appointment she said your hair looks and feels great. What are you using? Still just Wen. My sister and another friend ask if I had extensions put in cause hair is getting so full and long. I will always use Wen. Did I say I'm 51 years old ? Great lens.Thanks for sharing this info. @anonymous: Try the hair one for color treated hair. Honestly Lisa Rachel's conditioner is the closest I have found to Wen's Fig. Let me know how you make out. I have used Wen, and I love how it makes my hair feel. I have really long hair and ended up going through their 3 month supply in 1 1/2 months. It gets pricey and I can't afford it. Rite Aid had their knock off called Ren. It works the same way, but didn't come close on making my hair feel the same. Wen's Pomegranate is their worst scent, IMO. It reminds me of cough syrup. Does Hair One make your hair feel like you washed it with Wen? I would be willing to give it a shot if I got some decent feedback on it. I've never used WEN, but my mother swears by it. I see Wen products advertised a lot but I've never tried it myself. It's great to see a less expensive alternative. @anonymous: Qvc runs good specials and is only $40 for 2 bottles instead of $30 each. I almost always use Nuka Chamomile Vanilla Leave in Conditioner and Detangler Conditioner! It really helps my hair get back its smoothness and sheen that has been greatly missed! My split ends have disappeared and I now have my mother using this product! I have never used Wen, actually the price turned me off so I found out about hair one online. I found it at Sally's and cost about 12 dollars, less than half the price of Wen. I tried the olive oil formula for dry hair, while I love the mint in it , my hair still feels dry. I started using a conditioner after cleansing with hair one, but I believe that hair one is drying out my hair!!! I really wanted this to be the miracle my hair needed but it is not. Maybe I just need to bite the bullet and try Wen! right now im using Nuka Chamomile Vanilla Leave in Conditioner and Detangler and it looks pretty well i guess but i want to try the triple moisture i hear some people like it and others hate it let see what it does to may hair :) and moisture conditioner works wonders. Haven't tried either yet, but I'm leaning toward a Hair One experiment (mostly because the horses have eaten all my money ;o) This lens is timely and informative, and gave me some additional things to think about. Nice job! I haven't tried HairOne so I can't say which was better for me. However, I have tried Wen and I love it! I couldn't remember the last time my hair was so so soft. I have used WEN Lavender for about 3 months and had good results, but the thought of a product with similar performance at a lower price intrigued me. I purchased a sample-size packet of Hair One at Sally Beauty yesterday and used it this morning. My hair felt as clean as when using WEN, and the Jojoba fragrance was nice. I did feel that my hair was more "fuzzy" with Hair One (I live in humid southwest Florida), and had to use a flat iron product to smooth it down. It took a few weeks for my hair to adjust to WEN (and for me to learn how to use it properly) so perhaps my hair wouldn't be as fuzzy after a few more uses of Hair One. For the price it's a good alternative to WEN, but for results (and if price is no object) WEN gave me better results. Interesting! I just saw the WEN infomercial this past weekend. The photos looked very convincing, but I'm always skeptical of TV products, so it's good to hear a real-life confirmation. Now that I understand a little more how it works, it really makes sense. When I was growing out my hair I visited a forum site called the Long Hair Community, and the chicks on there were always raving about conditioner only washing and the other condition/wash/condition regime, which models supposedly use to remove hair styling products. Anyway, a bottle of silicone-free Sauve is definitely a cheap, cheap alternative although it cannot be used as a leave in. P.S. Just wanted to say thanks for commenting on my lens! I like to use regular shampoo on my scalp and wen on the rest of my hair. I haven't used Wen but I have hair one and I am sold!!! I love the stuff and plan on going back to Sally's to purchase all of them (I have the olive oil now). I Still use Shampoo every once in a while because I have certain shampoos for clarifying and protein, but when I get ready to flat iron or wear my hair straight it will be hair one for now on!!!!! I love HAIR ONE!!!!!!!!!! My hair was so silky and soft! I have wen but have never heard of hair one! I will have to try it. I love WEN once in a while but can't use it to often or my hair seems to come out in clumps! Thanks for the great lens! I will be looking into hair one! I recently purchased Hair One Jojoba formula and I love it. My hair feels clean, soft, and is super shiny! I will not go back to regular shampoos, because they left my hair feeling dry and brittle. I've been trying to decide whether to try Hair One. Thanks for the lens. Hair one hair cleanser and conditioner is the better things I every use. I love it, I will never use shampoo again. My hair is back, thank you it feel good. Hi, I will look for the product in our stores, here in Africa. Unfortunately we don't get all the good stuff that I read about on Squidoo but maybe this time I/m lucky. Keep well! Congrats on your trophy! Nice lens very informative. I never heard of either product before.